On November 17, 1898 the Steamship Utopia caught fire while en route from Seattle to Skagway. During the excitement, John Hicks from Tacoma jumped overboard and everyone thought he had drowned. But Hicks managed to hold onto a capsized lifeboat and survive in the freezing water for 24 hours until the boat floated to Kake Island. He then wandered around for 8 days looking for some habitation until he returned to the beach to lay down and die. But no, he did not die there, as several local natives found him and took him to the local missionary, the Rev. Dr. Moon. Moon put him in a canoe to take him to Wrangell where he could receive proper care. 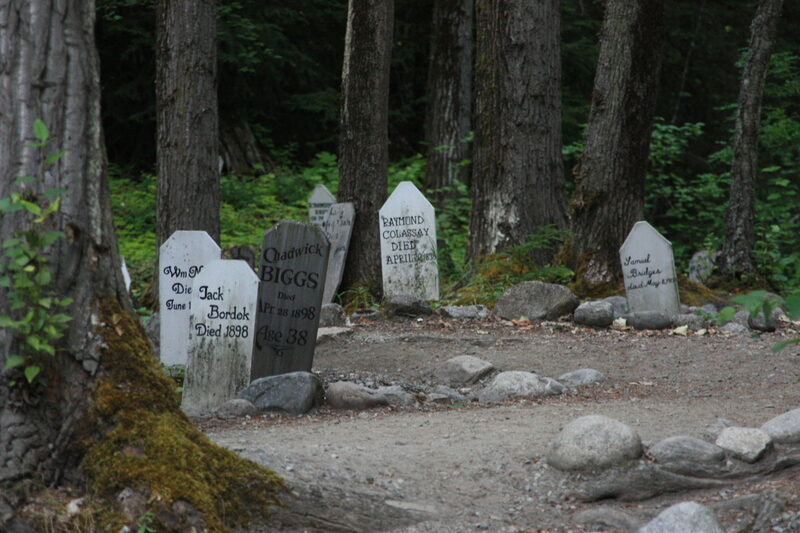 But before they reached Wrangell poor Mr. Hicks died and Moon buried him on the beach. Seen above, the Steamship Utopia was built in Seattle in 1893 and was captained by the famous Capt. “Dynamite Johnny” O’Brien. 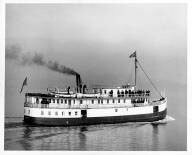 It was owned by the Alaskan Steamship Company until 1903 when it was acquired by the Puget Sound Navigation Company. That’s the first photo I’ve seen of the Utopia, the steamer Soapy caught going back to Juneau after spending some time in Cook Inlett at Sunrise and Hope. Thank you Marlene. There were actually two Utopia’s, the first sank with hundreds of people onboard, but not in this area. Then they built another one. I myself would not have named it for a notorious ship that sank, but then it is a good name….